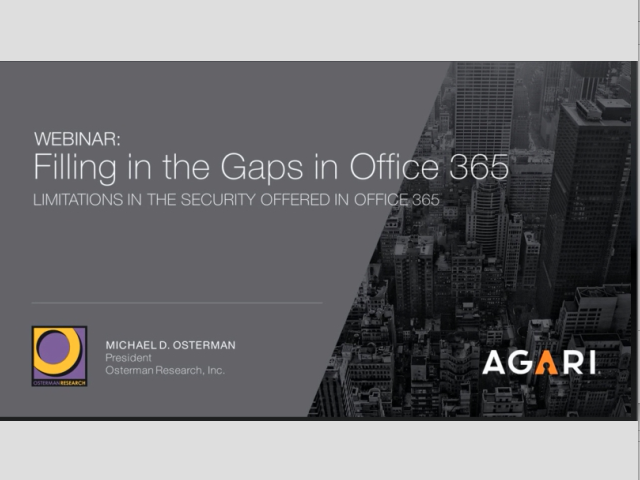 Osterman Research & Agari explore how you can secure Office 365 with Agari. Join Michael Osterman, president of Osterman Research, as he shares new research and insights, and John Wilson, Field CTO at Agari. Agari’s Email Trust Platform stops phishing by identifying the true sender of emails, using global email telemetry data and predictive trust analytics delivered as a cloud based service. The US DOJ recently announced a fraudulent business email compromise (BEC) scheme induced two U.S.-based companies to wire a total of over $100 million. In this 11 minute presentation, Markus Jakobsson, Agari’s Chief Scientist and BEC expert, breaks down the global reach of the scam, explaining the techniques used by the attacker, describing the cyber kill chain and providing recommendations for how all enterprises can avoid becoming the next $100M victim of a BEC attack. The increasing number of email-based cyber attacks on the banking and financial services sector, as well as the continuous evolution of these attacks, requires both Risk Management and Information Security professionals to be constantly vigilant - and prepared - to protect their organizations from these constantly changing, advanced threats. This session will explore how prediction tools can observe and understand current trends of email-based abuse; recognize the greatest potential opportunities in terms of monetization and influence; and identify untapped criminal opportunities. We then will leverage these tools to evaluate the current environment and predict what types of attacks we are likely to see soon. Hear SANS talk about how Agari scans, authenticates and passes on only good mail to recipients. Trends in spear phishing, business email compromise, ransomware and consumer phishing, including why they’re so difficult to prevent. How Agari’s cloud-based analytics, trust authenticity analysis and other techniques detected these types of attacks and took actions based on policies. How Agari’s “Model of Trust Analytics” differs from the traditional approaches of whitelisting and malicious content detection to make split-second decisions on inbound messages. The reviewer’s experience with Agari Enterprise Protect setup, verification, policy creation, analytics and dashboards during emulated email attacks.